Barcelona welcome Levante to Camp Nou on Thursday night knowing anything but a win will see them exit the Copa del Rey at the round of 16 for the first time in eight years. Ernesto Valverde made wholesale changes to his starting XI in the first leg and will likely field a much stronger side on Thursday night, knowing their tournament life is on the line. Jasper Cillessen (GK) – Cillessen has been Valverde’s goalkeeper of choice in cup competitions this term. He has started all three of their Copa del Rey ties and will be a shoo-in to retain his spot after impressing between the sticks in recent displays. Nelson Semedo (RB) – The 25-year-old has been in and out of Valverde’s side this season but has started all of their Copa del Rey fixtures. Clement Lenglet (CB) – Lenglet has become a regular at the heart of Barcelona’s defence and will likely retain his place in Thursday’s crucial second leg. Gerard Pique (CB) – Gerard Pique has not missed a minute of La Liga action this year but is yet to feature in the Copa del Rey. However, with Valverde likely to field a strong starting XI, Pique could get his first minutes in the competition on Thursday. Juan Miranda Gonzalez (LB) – The 18-year-old has featured predominantly in the Barcelona B squad this season, but has started all three games in this particular tournament and also played the full 90 minutes against Tottenham in the Champions League group stages. 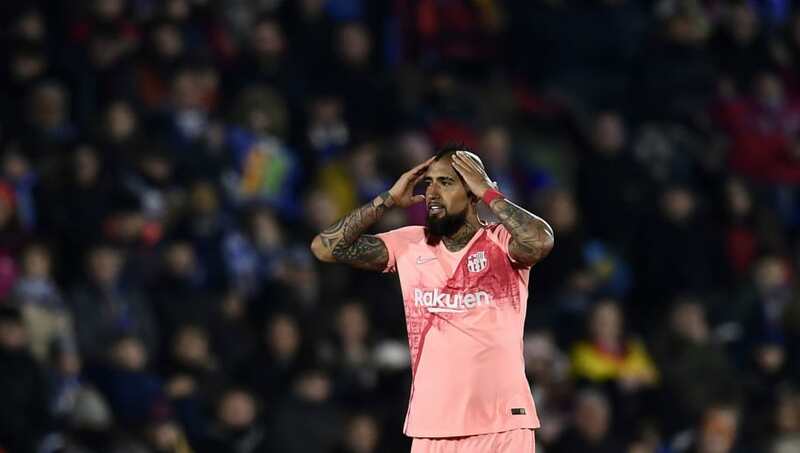 Arturo Vidal (CM) – Vidal has featured heavily in the Barcelona midfield this season and has failed to appear in just five games all year. Arthur (CM) – The 22-year-old’s season was disrupted by injury early on, but with the Brazilian fully fit once more, he will likely slot back in to the centre of Valverde’s midfield. Ivan Rakitic (CM) – Despite only playing 45 minutes of Copa del Rey football this year, the World Cup finalist has registered three assists in the competition already. Lionel Messi (RW) – With Valverde set to bring out the big guns, the Camp Nou pitch could be graced with the presence of Lionel Messi on Thursday night, after the Argentine scored his 400th La Liga goal last time out against Eibar. 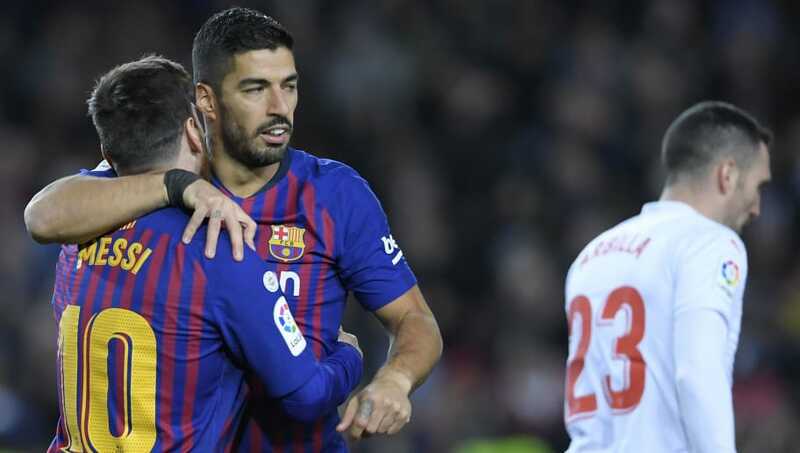 Luis Suarez (ST) – Though he is yet to appear in the Copa del Rey this season, Suarez is no stranger to the competition, and scored a brace in last year’s final. Philippe Coutinho (LW) – Coutinho was the man who threw Barcelona a lifeline in the 85th minute of the first leg as he tucked away a penalty to half his side’s deficit in the tie.